Kids will appreciate attractions like Aurinkolahti Beach and Hietaranta Beach. Satisfy your inner culture vulture at Sea Fortress Suomenlinna and Ullanlinna. And it doesn't end there: hunt for treasures at Old Market Hall, stop by Marimekko, pause for some serene contemplation at Rock Church, and contemplate in the serene atmosphere at Uspenskin Cathedral (Uspenskin Katedraali). To find more things to do, ratings, traveler tips, and tourist information, read our Helsinki attractions planner . Valletta, Malta to Helsinki is an approximately 7.5-hour combination of bus and flight. You can also do a combination of ferry and car; or do a combination of ferry, taxi, bus, and train. You'll lose 1 hour traveling from Valletta to Helsinki due to the time zone difference. Traveling from Valletta in December, expect Helsinki to be cooler, temps between 3°C and -3°C. Cap off your sightseeing on the 2nd (Wed) early enough to catch the train to Lahti. Lahti is a city and municipality in Finland.Lahti is the capital of the Päijänne Tavastia region. 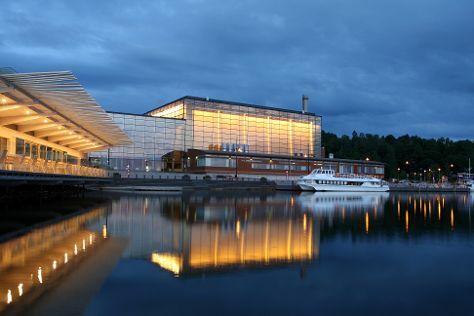 On the 3rd (Thu), take a stroll around Sibelius Hall. Use Inspirock's suggestions to plan your Lahti trip and find the best activities and attractions for your vacation. You can take a train from Helsinki to Lahti in an hour. Other options are to drive; or take a bus. In January in Lahti, expect temperatures between -6°C during the day and -12°C at night. Wrap up your sightseeing by early afternoon on the 3rd (Thu) to allow time for travel back home.